June 22nd the doors to CIMES I Beijing, opens. 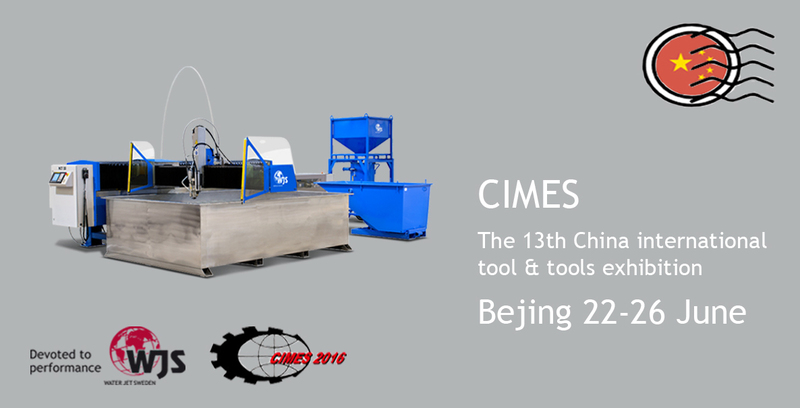 CIMES is one of the largest and most complete machine tool exhibitions in the world. It will gather the local and global industry leaders and will have a total of 1300 exhibitors. Water Jet Pacific, subsidiary and local representative of Water Jet Sweden will be present, demonstrating the new T-model machine as key attraction during the exhibition 22-26 of June. We welcome all partners and potential customer to Hall3, Booth C503 were our Chinese team will be present to host you.